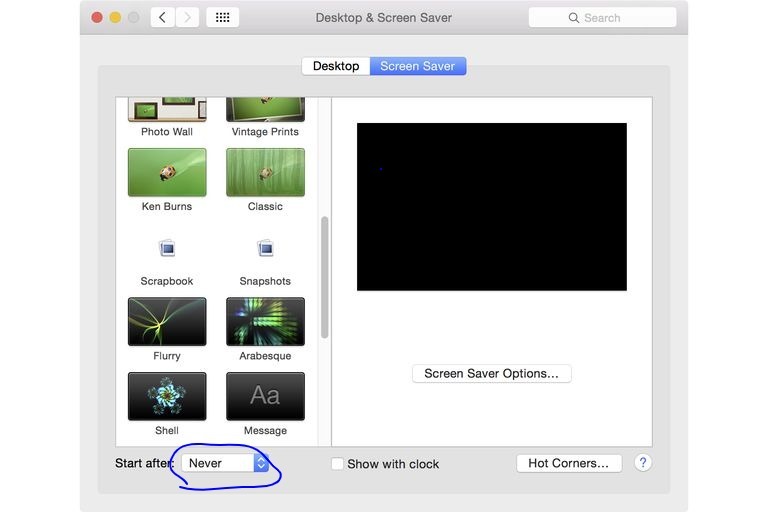 I stop my computer from sleeping by going into System Preferences > Energy Saver > Power Adapter and sliding "Turn display off after:" to 'Never'. But after a long time the mac screensaver turns on and I have to type my password to get back into the computer. I want my computer to forever stay as I left it, and not start screensavers or log me out or anything. The system administrator has set the screensaver timeout. You can't change it without removing the profile, which will probably cause you to lose network access. You can turn off the password requirement to quit the screensaver in System Preferences > Security > General. Then your Mac will wake from sleep/screensaver with just a nudge of the mouse/touchpad, or a keypress. Bear in mind that without this password protection, anyone can access your MacBook when it is unattended, or if they steal it. The password requirement does not log you out: it just locks the screen. Not the answer you're looking for? Browse other questions tagged macos macbook sleep-wake mojave screensaver . 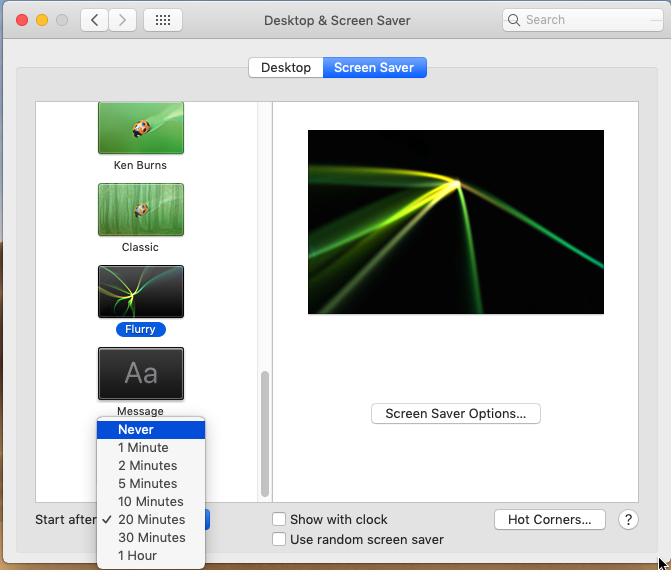 Is it possible to write a script to change the Energy Saver settings in OS X (10.7.3)? How to disable “turn off display after” when using Apple TV?